Listing of your products on comparison shopping websites allows you to attract more customers to your store and increase sales. Support of popular comparison shopping engines. 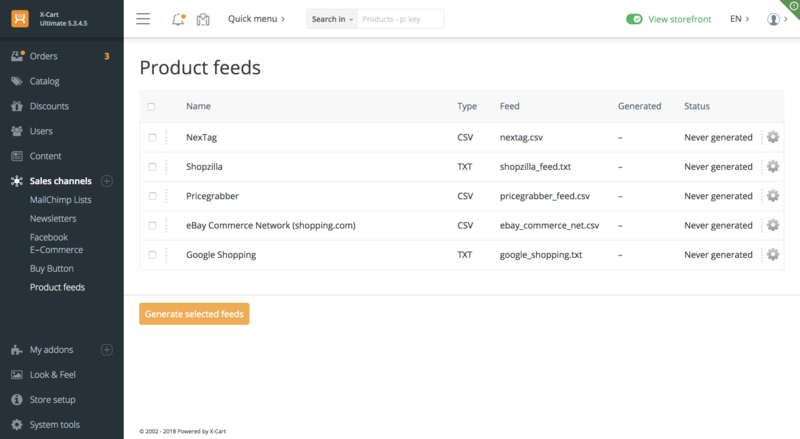 You can generate data feeds for Google Shopping, eBay e-Commerce Network (shopping.com), Nextag, Pricegrabber and Shopzilla. 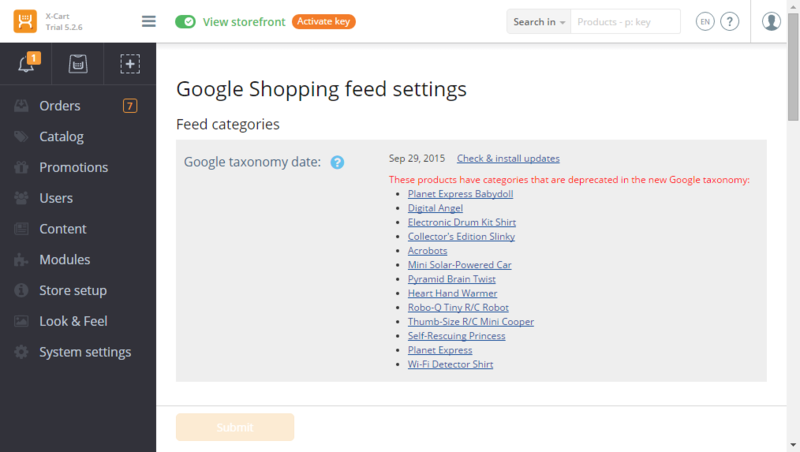 Easy mapping of product attributes to product feed columns. Specify the distribution of product attributes between the columns of each particular feed. Map different product attributes to the same field. 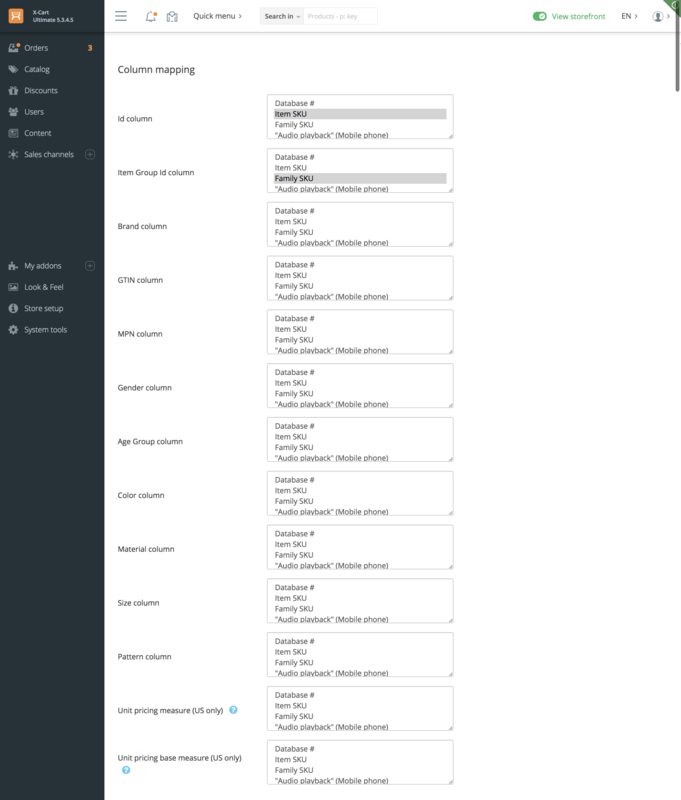 Say, "ISBN" is an attribute of books, "UPC" - of other products, you can map both to the same column "ID" and the feed will contain that very attribute (ISBN or UPS) which exists for this particular product. Powerful to process as many products as you need. The feed generation process is split into small steps. This allows you to generate feeds containing tons of products even on servers that set a limit on the time allocated for programs to execute. Tracking of buyers coming from comparison shopping engines. 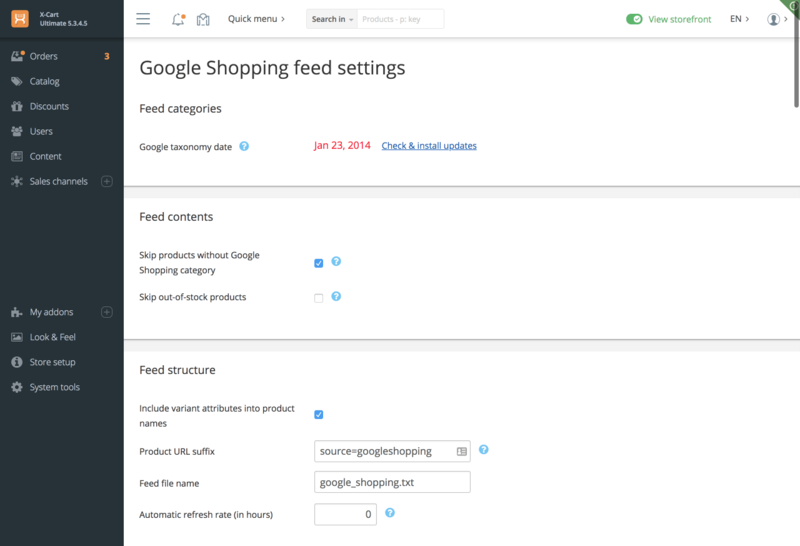 When the feed is being generated, the module adds a suffix to the product links. By this suffix (different for each of the comparison shopping engines) you will be able to track the orders which come from this or that engine — all you need is to setup the free Google Analytics module. Test drive the module online: backend demo.